Shop Everything Minecraft at BestBuy! Years ago, my kids discovered Minecraft. It wasn’t long before it had taken over and the kids were building worlds and playing with Minecraft toys. Terms like seeds, creeper, skins, redstone, and more quickly became a part of our daily life! If you aren’t familiar with Minecraft, it is a game where you build your own world with blocks, and your character can explore and go on adventures. My kids have created everything from farms to amusement parks, and they share these worlds with friends. What I love about Minecraft, as a parent, is that it isn’t your average “video game”. It inspires my kids to be creative and also to learn how to do things on their own or by collaborating with others. If you have a Minecraft fan in your household or on your shopping list, you can find a great selection of Minecraft games and collectibles at Best Buy. 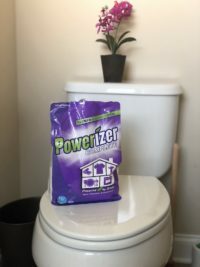 I remember back when my kids were first into Minecraft and I had to scour the stores for cool stuff, but Best Buy makes it easy to do your one-stop Minecraft shopping! For starters, Best Buy has Minecraft games on any platform you can think of, like Xbox, Playstation, Wii, and more. There are so many options to meet every gamer’s needs. Best Buy has also has cool Minecraft toys, like this Minecraft Flying Ghast Quadcopter. 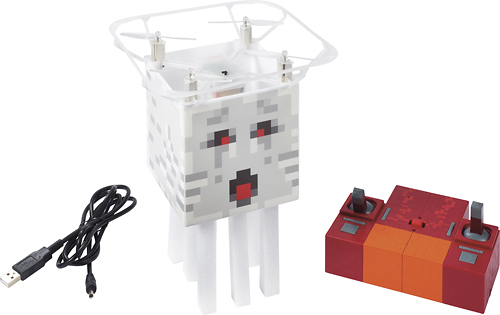 The remote control flies the ghast in all directions just like you would see in the video game! While this is fun for kids, I can see the adults getting in on this too! How great is this mini figure collector case? I know I’m not the only parent who goes crazy from little toys scattered everywhere, especially when there are little pieces. I love how you can view them through the front of the case too! They have plenty of figures at Best Buy as well, so what better way to start a collection or add to one. 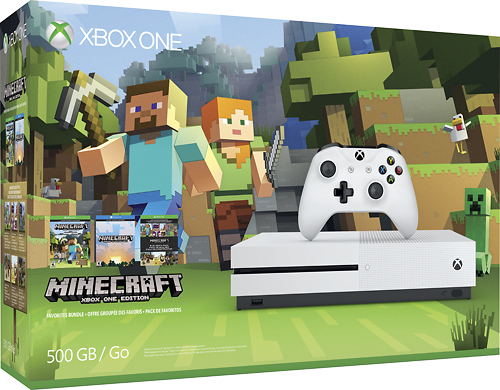 There are so many great Minecraft things at Best Buy, it makes it easy to get your holiday shopping done. 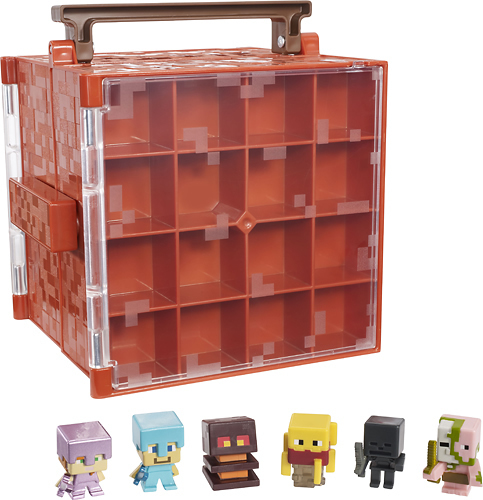 I know my kids will be thrilled to get Minecraft toys under the tree this year! Minecraft gifts are always a huge hit! I love the collector case for the mini figures, that’s a great solution for displaying them and keeping them organized too. The Minecraft Flying Ghast Quadcopter looks awesome! Our kids are also Minecraft fans and I’ve even used it with our homeschool lessons. I love that Best Buy has so much to choose from! I have to head over to Best Buy today. My boys love Minecraft, and they’ve been dropping BIG TIME hints about the Sone. I have to get some of those Minecraft figures for my nephew. He’s still a bit young to play Minecraft without help, but he loves the art style.